Hey everyone! If you came from the talented Becca Whitham's blog, you are in the right place! I'm joining in with these fabulous crafty ladies again this month, and we are sharing our planners! I just jumped into the planner world last year. If you are new to the planner world...I will warn you, it is easy to become overwhelmed (and addicted, lol). 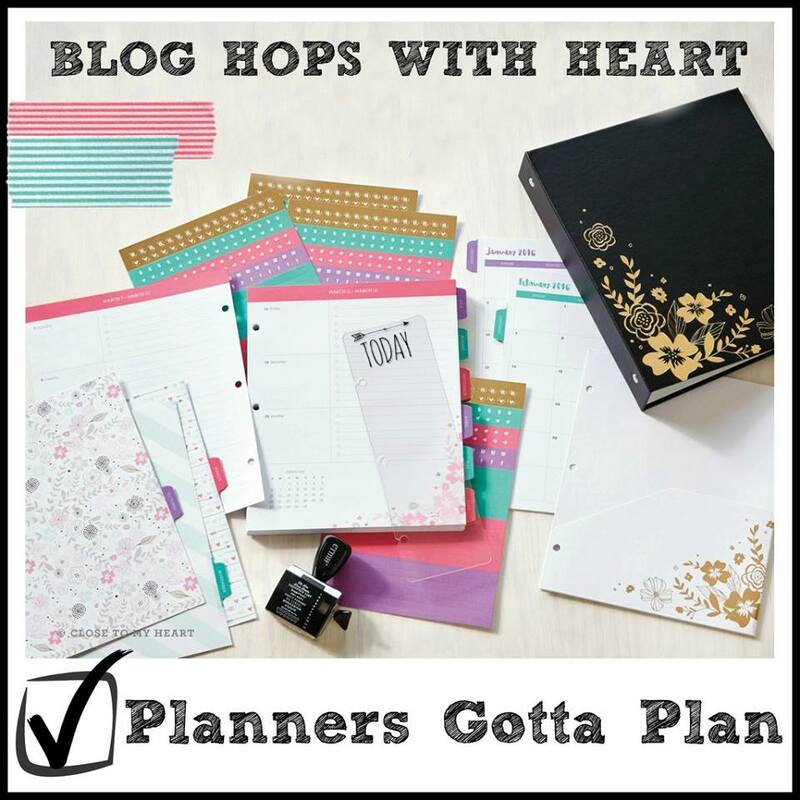 I started with the Erin Condren Life Planner, I actually did love it, but I started joining Facebook planner groups, and discovered Filofax. I love both planners now, for different reasons...but I am still so new to the planner world, I'm still learning everything! For the Erin Condren Life Planner, I love that it comes completely done. No accessories required, though the matching items are so tempting! It is perfect to use at home for bills, and family info. I love that is pretty, and I don't feel the need to decorate it (though lots of people do), and I love the overall layout. It's just too big to put in my purse...so I find myself not using it as much. But, it's pretty pricey for to use for just one year. But, I did find it to be good quality. Then last June, I discovered Filofax...and the bargain hunter in me loves the Filofax much more. The Filofax is a planner that comes from the UK. They come in lots of styles, sizes, and colors. My favorite is the Personal size. I love that you can get buy it on Amazon, and depending which planner you choose...the prices are more affordable. I love that it fits in my purse, which makes me use it much more...and helps me track our expenses to stay on budget. I love that you can decorate it as little, or as much as you want...which makes it even more fun to use! Most of all, I love that you can use them year after year, and just switch out the inserts for a new year (for about $10). For my dashboard, I was inspired by Kelly Latevola's YouTube video. She made the most amazing video showing No Line Copic Coloring! I used the stamp set Watercolored Anemones, from Wplus9. I second generation stamped the images, and then gave it my first try at No Line Copic coloring. I loved it, and I'm so happy I finally tried it out! For the inside I wanted to make shaker inserts to divide the pages, which were super easy using CTMH Flip Flaps. So easy, if you saw my Easiest Shaker Card~EVER YouTube video, this was pretty similar, and still no Fuse Tool required. I used the Crop-a-dile Big Bite punch to place holes in the Flip Flaps after sealing. The sequins are too big to fit through the holes, but glitter or seed beads won't work for this easy insert. I hope you had fun peeking in my planner, and you can incorporate some ideas in your own planner. 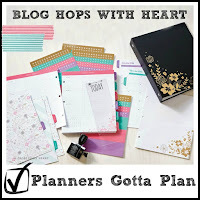 Now on with the hop, to see what the Amy McVey has to share about her planner! Hello everyone! In case you are looking for ideas for Valentine's day...Here is what we did last year...It was a huge hit! My sweet friend asked me to re-share it, so she could find it easily. Here you go, Jen! My youngest son loves science, he wants to be a scientist when he grows up. So when it came time to make Valentines for his class, I was so happy to find the perfect stamp set already in my stash! My son and I made them together, and had so much fun! We used the super fun stamp set from Paper Smooches, Great Chemistry. I taught him how to use various shades of Copic markers to shade, and he loved it! I die cut some tags to glue the pieces on. Then we attached the tags to "test tubes" from CTMH, and my son had fun filling them with skittles.